When a potential customer calls in they expect to be greeted by a friendly voice ready to answer questions and help them with whatever it may be. No one wants to call a place and be greeted by a rude person or an unhelpful staff especially if it is their first time doing business with a company. Customer service means being there for customers and providing quality service each and every time. 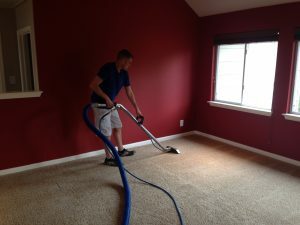 Beyer Carpet Cleaning believes in only providing the best customer service. Their staff is well trained in answering questions and completing their jobs. If there something they aren’t sure of the owner is always available to ask and help feel in any gaps. Customers are always greeted with a friendly voice when they call in and schedule an appointment. Once scheduling an appointment and the customer has questions or issues or needs to reschedule Beyer’s staff is ready to help. Their carpet cleaning technicians are well trained and ready to tackle any kind of job. They are thorough when it comes to carpet cleaning, tile and grout cleaning, and upholstery cleaning. They make sure the job is done right and that the customer is satisfied with their services. Beyer Carpet Cleaning also offers a customer satisfaction with all their full service carpet cleaning. This means if you are not satisfied at the time of cleaning you don’t have to pay until you are happy. Beyer Carpet Cleaning know that when you are spending money you want to get you monies worth so why pay for something that does not meet your expectations. Beyer Carpet Cleaning is committed to providing the best every time no matter what! They not only have unbeatable customer service they also have the best cleaning for the best prices in San Antonio. 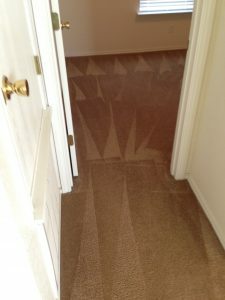 Your carpet cleaning experience should not be unpleasant when your the one shelling out the cash to have it done. Beyer Carpet Cleaning wants to ensure that each customer has the best experience and will continually use them for every cleaning.